While everyone's hopefully enjoying some Christmas downtime, even the Octave isn't stopping the US docket's most frenetic period of activity in nearly a decade. At Roman Noon on this fourth day of Christmas, the Pope accepted the early retirement of Bishop Richard Lennon of Cleveland three months before the latter's 70th birthday. 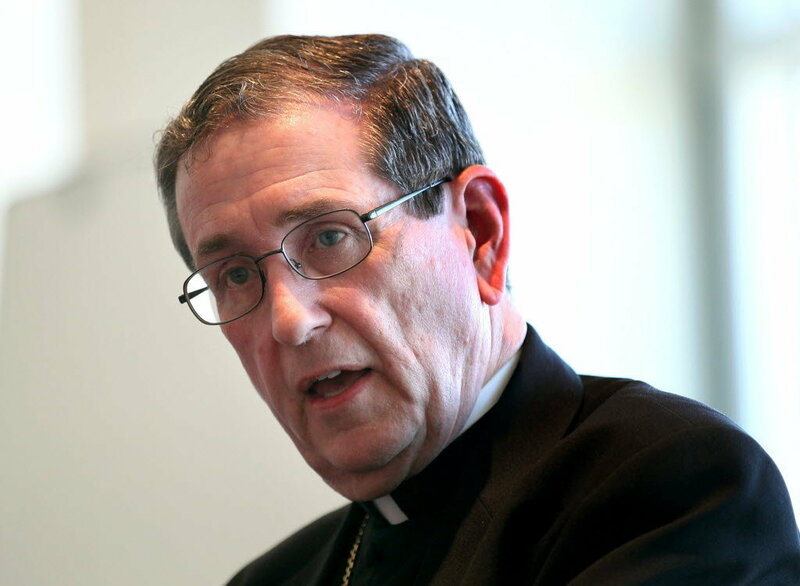 While the Boston-born prelate suffered a significant heart attack earlier this year – and has reportedly begun to struggle with "memory issues" – the move brings a rapid end to an extraordinarily fraught tenure marked by significant upheaval in the 700,000-member diocese, Ohio's largest local church (and once again a City of Champions). Upon his appointment to the shores of Lake Erie in 2006, Lennon arrived marked by two experiences that yielded a reputation for storms: overseeing the Boston church as apostolic administrator between the collapse of Cardinal Bernard Law's tenure and the arrival of then-Archbishop Seán O'Malley, then leading the charge as vicar-general on the quick push to close nearly 70 Boston parishes as the embers of the scandals still smouldered. 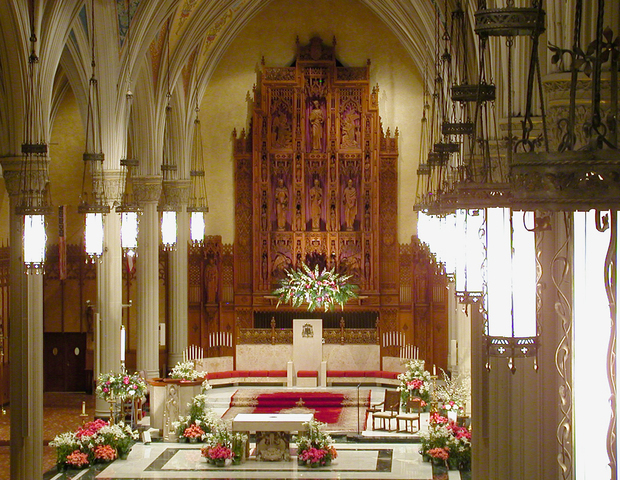 In Cleveland, the second act proved no less eventful as Lennon's 2009 plan to consolidate 50 parishes – most of them early 20th century ethnic holdovers in a drastically changed city – saw him pilloried and heckled at practically every turn, then made to undergo an Apostolic Visitation on his stewardship of the diocese given what's been termed an unparalleled level of complaints sent both to Rome and the Nunciature in Washington. Despite surviving the Vatican probe, part of which saw 11 of his closings reversed by the Holy See (and, in a rarity, the parishes fully reopened), Lennon's attempts at mending relationships in its wake seemed to come too late. In one especially bitter example, after a priest who formed an "independent community" with most of his closed parish got the result they wanted – the closing's nullification by Rome – they still refused to return, even despite the cleric's excommunication in 2013. Though the bishop's friends invariably lament "the hand" he was made to deal with in both cities, such was Lennon's profile as a controversy-magnet in Boston that – following a bruising first three years that once saw O'Malley publicly express his prayer "that the Lord will take me home" – the confluence of the former's departure within weeks of the Capuchin's reception of the red hat is just as frequently seen as the critical moment that began turning the tide of the archdiocese. Much as with Newark – where, in an unprecedented moment for the Stateside church, a cardinal will be installed next week as archbishop – the priority for Cleveland's next bishop is on turning the page, as well as affirming the church's historically strong charitable and community presence on a struggling turf. That said, however, with the gruntwork of parish planning now completed – and as Lennon's last year in office saw the finish line of a five-year capital campaign that topped out at $170 million – the next "Believeland" prelate will have his predecessor to thank for the considerably stabilized slate he'll inherit. With today's move, eight Stateside Latin dioceses stand vacant, with another four led by (arch)bishops serving past the retirement age. Just over this month, the latter list grew by two as Bishops Martin Amos of Davenport (himself a Cleveland native) and Stephen Blaire of Stockton turned 75. SVILUPPO – 10.30am ET: In brief remarks at the midmorning Chancery presser announcing the transition, Lennon confirmed the report above, revealing that a recent diagnosis with vascular dementia spurred his request for retirement, which was submitted in late November. The departing prelate declined to take questions before yielding the podium to the newly-named administrator. For Philly folks keeping score, Time Elapsed from +Danny's Admin nod til first mention of John Krol in Cleveland: 4 hours, 12 minutes. That said, unlike the common habit of the Utmost High in speaking of his Lakeside roots, 'tis curious that any mention of one Frederick Ignatius Horstmann in this instance remained conspicuous by its absence. On a more serious note, given the unusual state of the situation – and, with it, the not unexpected question of where Lennon would seek to live in retirement (put simply, Cleveland or a return to Boston) – a senior Tribe op tells Whispers that the bishop's plans remain "undecided." In light of the circumstances at play, across multiple ecclesial fronts, the appointment of a permanent bishop is expected within roughly six months... in other words, just on the heels of the next Cavs parade.